Heat till you get 1 string consistency. 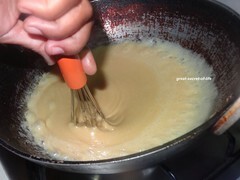 Wet your hand before checking string consistency. 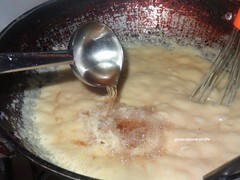 Sugar syrup will be hot. 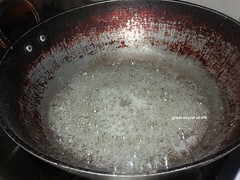 Alternatively you can add a drop in cold water and you should be able to make a ball. Now reduce the flame. 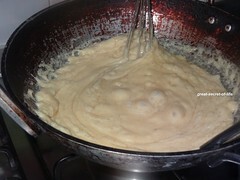 Add flour mixture and mix it well. 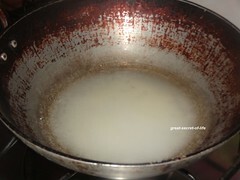 Add 2-3 tablespoon of ghee at a time. 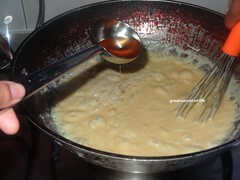 Add ghee slowly and add continuously. 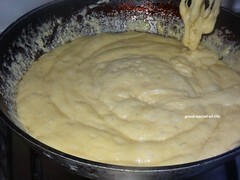 At one stage you will start to see forthy mixture like in the pic. 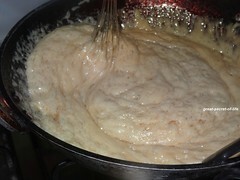 Now transfer this to buttered tray and level it with spoon. Let it cool down. 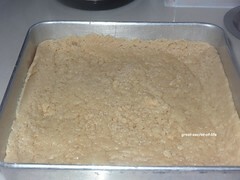 And when it is cool down when it is warm cut it into desired shape. 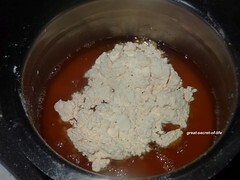 Cool down completely and slowly separate each piece. 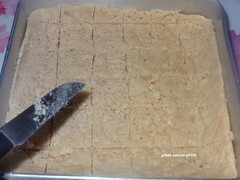 Yummy mysore pak ready! Store it in air tight container. And enjoy! 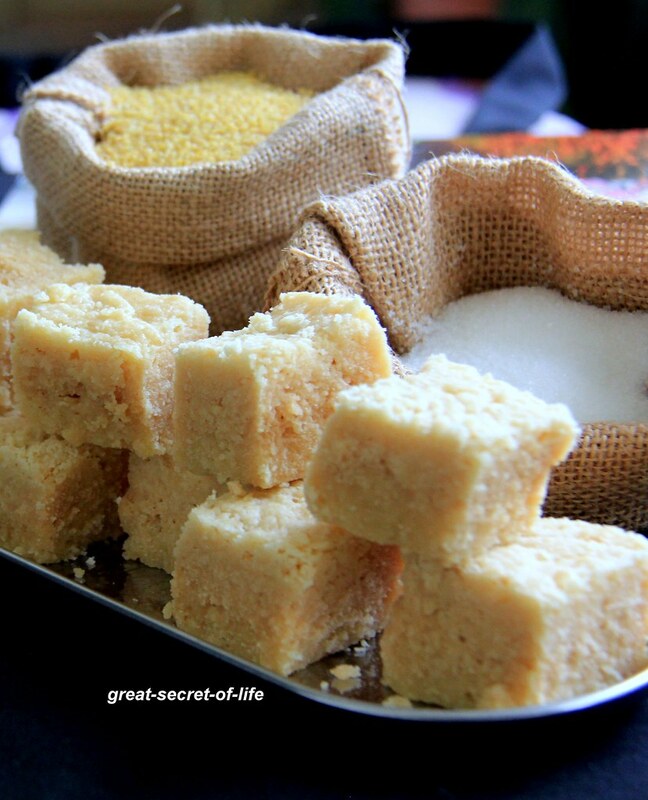 Thinai mysore pak looks delicious, Mysore pak is my favorite. 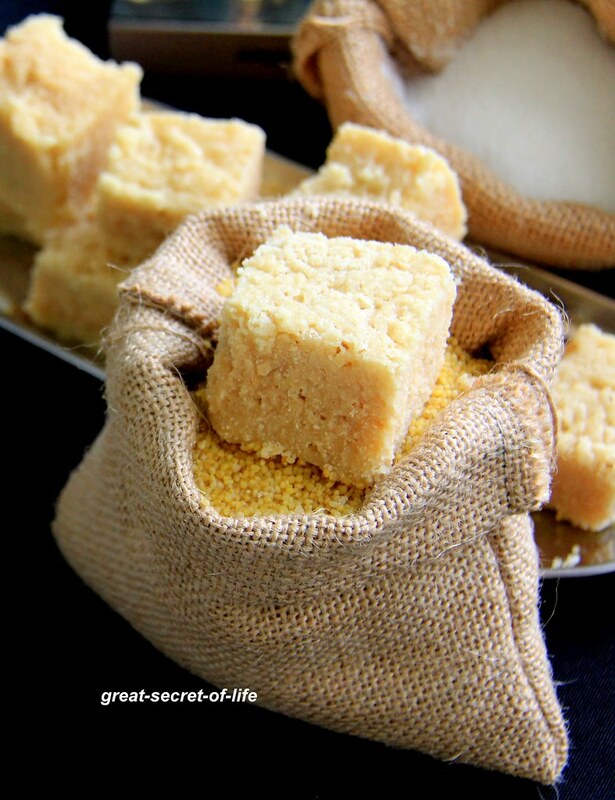 looks delicious.. using thinai flour is really very healthy and innovative..
Hi... Mysore pak looks yummy. 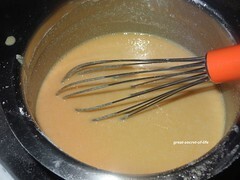 How will be the consistency of mixture before pouring into the greesed tray? 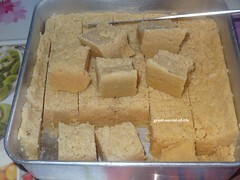 Thinai Mysore Pak has come out perfectly and they look so delicious.. 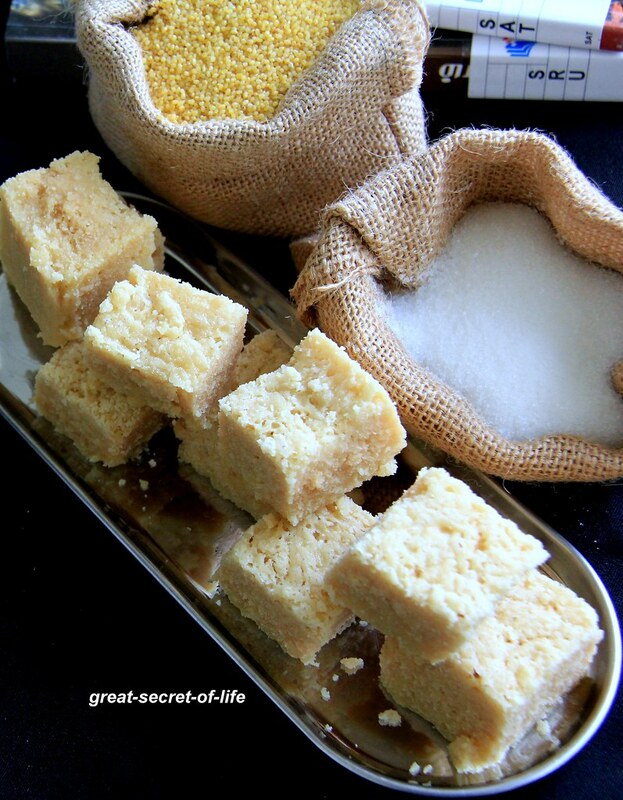 Very nice recipe... could'nt help notice those little sacks, very cute!! Could you share where you bought them? 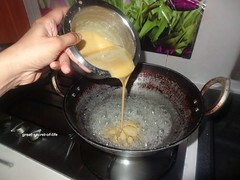 i also tried and got succeeded and now we are producing commercially and we used jaggery n complete organic ingridients..